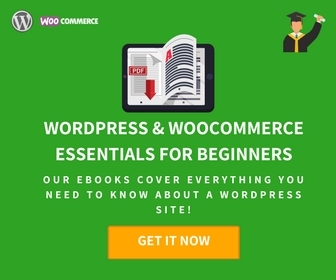 WooCommerce allows you to set categories, tags, and attributes to your products. 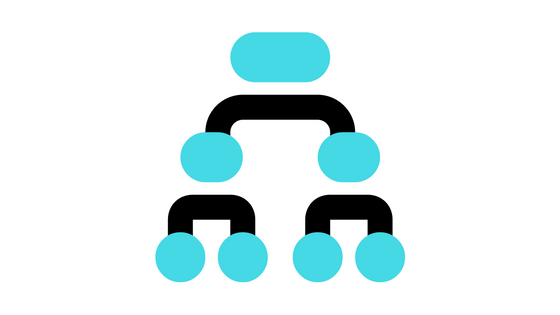 These are important aspects that will provide an organized structure to your product listings. 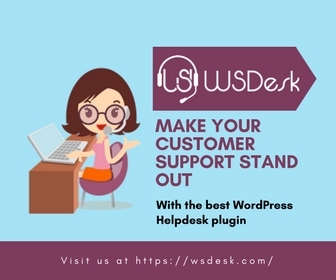 If you set these features appropriately on your store, your customers will find it easier to find specific products through your store. You will find the settings page for each of the admin panel. You can also add a new category while creating the product also, but for detailed settings, it’s best to go to the category settings page. 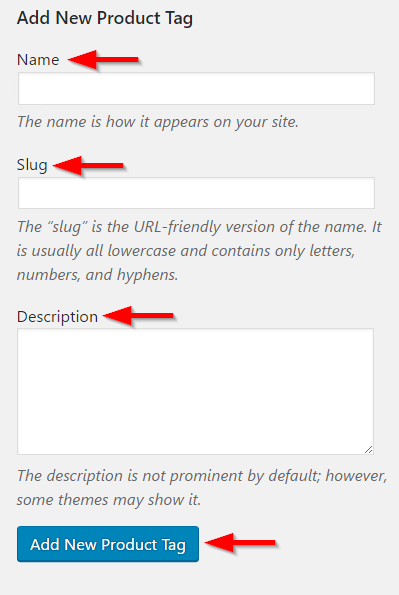 You can add a Name, a Slug and a Description for the category here. You can also specify if you want to nest the new category under an existing category using the Parent drop-down. 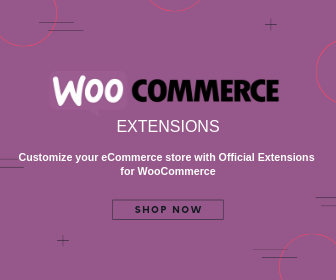 WooCommerce allows you to choose how the categories will be displayed on the front-end with the Display type drop-down. After entering all the required details, click Add New Product Category button to complete the process. You can also modify the order of categories from this page by clicking and dragging a category. This will be helpful when you’re displaying the categories on the front-end of your store. 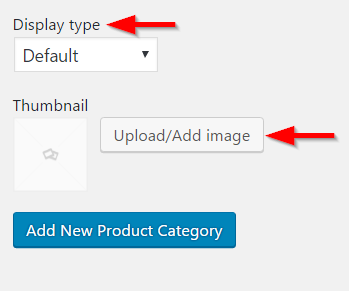 Same as the settings for the category page, you can add a name, slug, and description for your new tag and click the Add New Product Tag button. 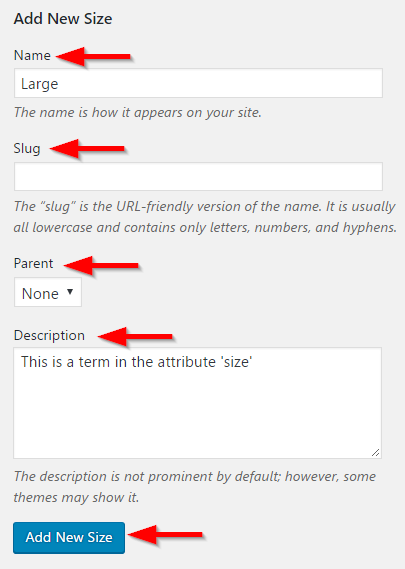 You can add a Name and Slug for the new attribute. 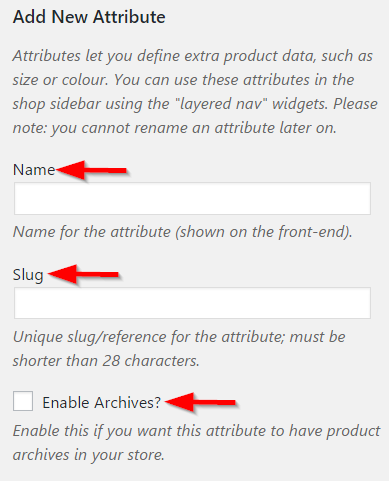 There is an ‘Enable Archives?’ checkbox to help you set product archives for this attribute. Tick the checkbox if you want to enable this feature. 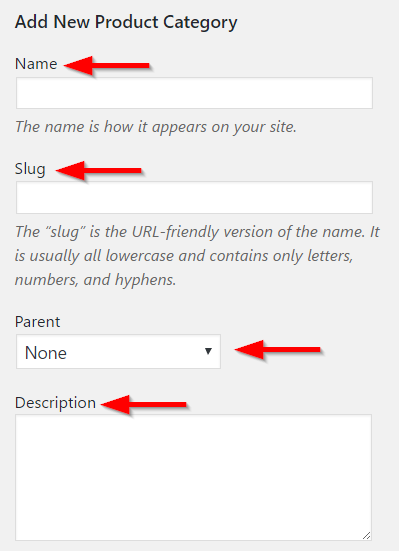 There are two more fields which you can configure before creating an attribute. The Type drop-down defines how you select attributes for the products – manual entry or select from a drop-down. 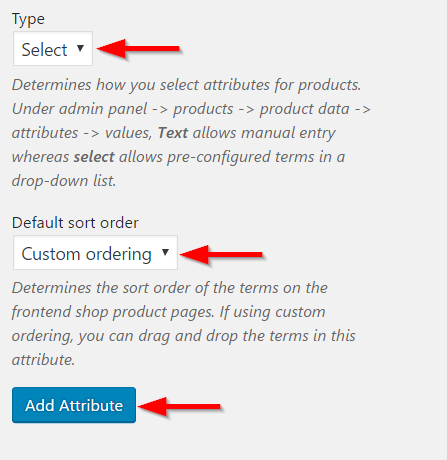 The Default sort order drop-down defines the sort order of the terms in the attribute on the front-end of your store. You can drag and drop the terms if you select custom ordering option. Once you add all the settings, do not forget to click the Add Attribute button. You have created a new attribute. Now you have to configure terms in this attribute. For example, let’s create an attribute ‘Size’. You can go to the settings of the attribute by clicking the gear icon on the right end of the attribute row. A new window will be displayed with the title ‘Add New Size’. Add a Name, Slug, and Description. You can also define a parent for the term. Once you add all the required information, click Add New Size button. You can add multiple sizes by repeating the process. Once you add all the available sizes, you can find your attributes and terms displayed on the attributes page. 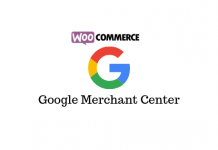 These are global attributes, which you can use for any product that you add to your store. Alternatively, you can create custom attributes while creating a variable product. Learn more about this in the article for variable products.